Last year my daughter received a balloon for her birthday from her brother that epitomises her and her outlook on life. The smiley face floated around our living room for weeks, making me smile everytime I entered the room. Eventually all the helium escaped and we placed the balloon in the bin. My daughter was not smiling when we did this! Do you enjoy receiving balloons for your birthday? Hmm.. I never had a balloon a gift before. I think I’m gonna like it though. I think you would – especially if it makes you smile like this one did. 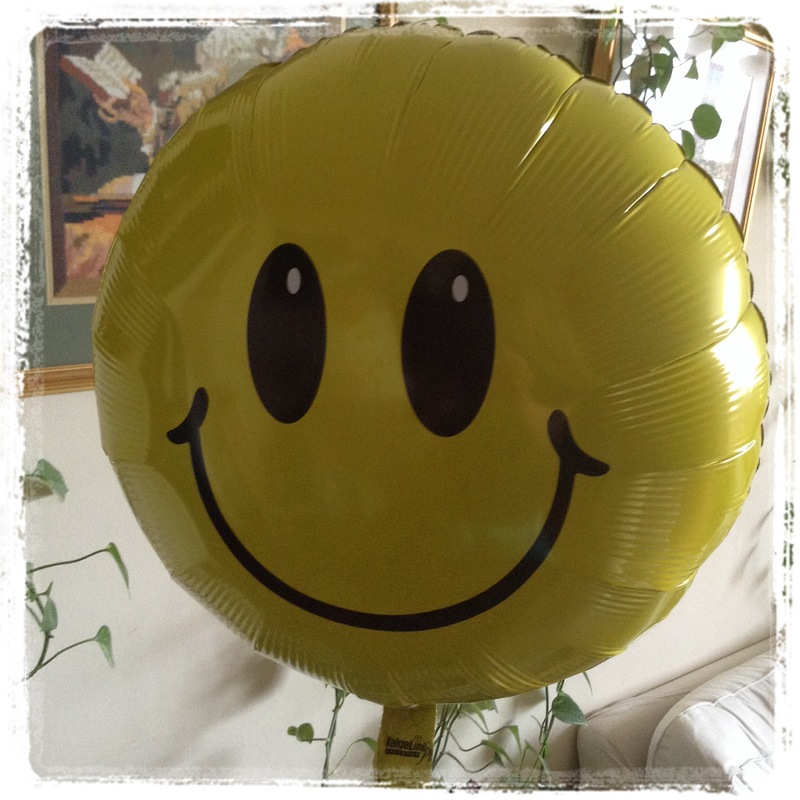 I now want to go out and purchase a smiley face balloon–even if it isn’t my birthday! My daughter had a big butterfly balloon that fluttered around for months. That is true John. It always makes me smile to see a child holding one. I just put my son’s balloons in the bin. It was time. My son has been back in London for two weeks and my husband was ready for them to go.